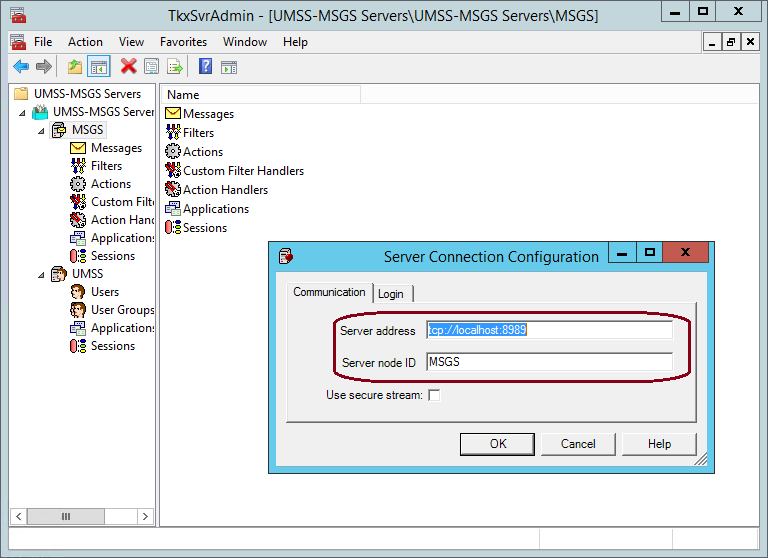 This article explains the LABEL ARCHIVE error message “UMSS-MSGS Servers There is no connection to the server” and details how to fix the underlying problem that caused it to appear. There is a problem with the connection between the the workstation and the UMSS-MSGS part of the LABEL ARCHIVE server. This error message appeared when the IP address and port setting in the UMSS were changed and saved. Changing them back so the IP address pointed back to the LABEL ARCHIVE server and the port was back to the default 8989 fixed the problem. We recommend checking the server settings for both MSGS and UMSS. In the case that triggered the writing of this article, the default port number for LABEL ARCHIVE server was changed. Changing it back to 8989 resolved the issue. 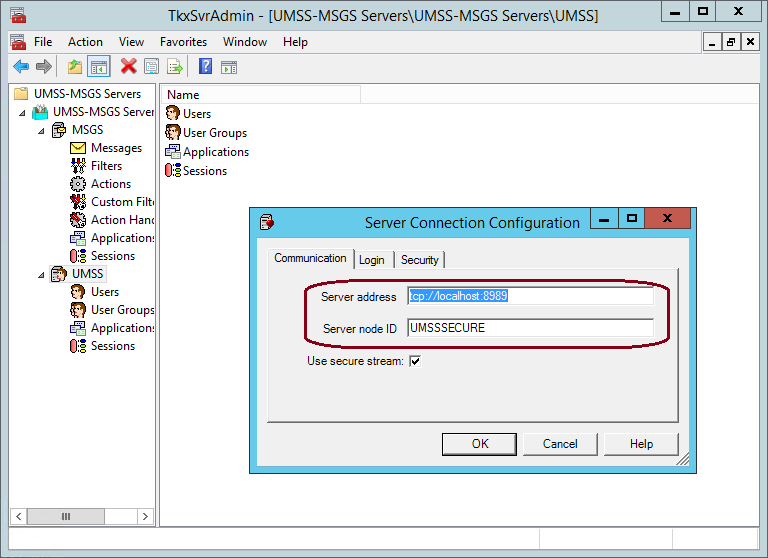 Make sure to check both UMSS and MSGS server settings. These settings can be found in the UMSS-MSGS Servers Administration application. Right click on the MSGS and UMSS nodes in the left hand navigation and select Properties.